In a case before Justice Yvonne Lewis sitting in the Supreme Court Foreclosure Part in Kings County, defendant Ellery Beaver LLC brought an application for summary judgment seeking the discharge of HSBC’s mortgage on their property. HSBC brought a cross application for dismissal of the action by the plaintiff. In this case, Renee took out a mortgage on her property. The mortgage was assigned to HSBC from the prior financial institution. HSBC brought a foreclosure action in 2006 claiming Renee defaulted in making the mortgage payments. HSBC’s original lawsuit was dismissed. In 2009, a second foreclosure action was started by HSBC. This was also conditionally dismissed in 2013 for failure to prosecute by HSBC. Renee eventually sold the property to Ellery. More than a year passed and thereafter HSBC brought an application to restore the 2013 lawsuit which had been dismissed. Justice Yvonne Lewis denied this request. HSBC took the position the statute of limitations hadn’t run. However, the court took the position since HSBC accelerated the debt upon the filing of the first lawsuit, the statute of limitations had run and therefore any attempt to foreclose was time barred. The judge took the position Ellery was entitled to a judgment dismissing the mortgage because HSBC failed to successfully commence a foreclosure lawsuit within the six year statute of limitations time period. The judge ordered HSBC’s mortgage be dismissed and discharged. This is a major win for homeowner’s rights. Even though lawsuits can be held to be time barred under the statute of limitations, it is very unusual a judge will go so far as to remove the mortgage lien from the property even though action upon the note is time barred. Justice Phyllis Orlikoff Flug sitting in a Foreclosure Part in Queens County Supreme Court recently had a case where the defendants moved to dismiss the bank’s lawsuit in a foreclosure legal action. The lawsuit had been initiated against the defendants Michael Pertab and Cholying Pertab in 2010. Michael had been served by personal service in July 2010 and Cholying had been served by substituted legal service in August 2010. After more than 4 ½ years after the lawsuit was initiated the defendants appeared in this lawsuit. The court took notice the lawsuit was more than 4 ½ years old before the defendants decided to appear in the case. Justice Flug took note that New York Civil Practice Law and Rules Section 3215(c) stated that if a plaintiff failed to take action to enter a judgment within one year after the default took place no entry should be made, but instead, the claim should be dismissed as being abandoned. The only exception to this rule was if there was sufficient cause shown why the dismissal should not be warranted. In this case Judge Flug found the plaintiff’s excuses for the delay in entering the judgment included a change of their lawyer, issues concerning the assignment of the mortgage to a new party, and administrative order 431/11. However, Justice Flug found that none of the explanations justified their delay of 4 ½ years with regard to moving forward to enter a default judgment. Justice Flug therefore granted the defendants’ (homeowners) motion to dismiss the case. If a bank brings a lawsuit against you and they fail to enter a judgment within one year you have a basis for moving to have the action dismissed. A one year delay in banks moving forward to enter judgment is not unusual! Elliot S. Schlissel is a foreclosure defense lawyer representing homeowners with regard to obtaining mortgage modifications and fighting foreclosure lawsuits throughout the Metropolitan New York area. There are two significant foreclosure cases in 2015 which have a broad impact on foreclosure lawsuits. The first of these two cases is Faison v. Lewis. In this case the New York Court of Appeals, the highest court in New York State, held that when bringing a lawsuit to set aside a mortgage due to forgery in the chain of title there is no statute of limitations. In the Faison case an action was brought by a homeowner to set aside a mortgage claiming the deed was forged. The financial institution involved plead the usual six year statute of limitations defense had passed since the deed was prepared. They also claimed that more than two years had passed since the homeowner discovered the alleged forgery. The sum and substance of the court’s decision is that a forgery creates no rights with regard to the deed involved. Therefore there is no point in time that limits the challenge to the document. Homeowners who have been involved in transactions involving fraudulent documents applaud the court’s decision. It eliminates time barred defenses of the statute of limitations which can be raised by financial institutions. The second case of importance to homeowners decided in 2015 was the case of Jesinoski v. Countrywide Home Loans. This decision was made by the United States Supreme Court, the highest court in America. In this unanimous decision, the United States Supreme Court decided a significant issue under the Truth in Lending Act (hereinafter referred to as “TILA”). In this landmark decision, the United States Supreme Court held that all that is needed to be done to rescind a mortgage loan was to send a letter within three years from taking the mortgage out requesting the mortgage be rescinded. Up until this decision it was thought the only way to rescind a mortgage under TILA within the three year period was to commence a lawsuit seeking to rescind the loan on the basis of failure to conform to the disclosure requirements of TILA. Homeowners now, who feel that there has been a violation of TILA by a lending institution, can simply send a letter to the lending institution rescinding the loan. 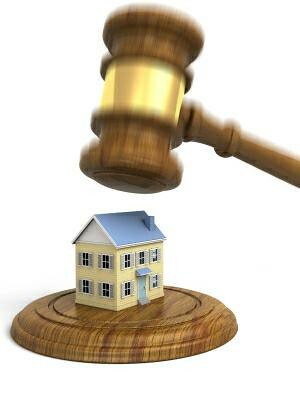 Starting a lawsuit to set aside the mortgage loan is no longer necessary. The Faison case decided by the New York State Court of Appeals and Jesinoski case decided by the United States Supreme Court in 2015 further increased the arsenal of defenses and actions that can be used regarding defending foreclosure lawsuits. Foreclosure defense lawyers continue to challenge the mistakes, frauds, omissions, false applications, bait and switch tactics, robo-signers, bad assignments, statute of limitations issues, failure to give notice issues, violations of State and Federal laws, violations of banking laws, violations of Truth in Lending Laws, violations of predatory lending laws, and numerous other defenses in helping keeping beleaguered homeowners in their homes. I look forward to continuing with this process. New York Real Property Actions and Proceedings Law (RPAPL) Section 1304 requires financial institutions and loan servicing companies to provide homeowners, on residential property, at least 90 days notice before initiating a foreclosure lawsuit. The banks and/or their loan servicers must also provide the homeowner with the form of notice prescribed by the statute which provides among other things notice to the homeowner that a foreclosure lawsuit may be initiated. This notice is referred to as the 90 day pre-foreclosure notice. Many lenders seek to meet the compliance requirements of this section by submitting an affirmation by their attorney with a summary judgment motion that the certified and regular mailing requirements have been complied with. However the attorneys for the lenders have no personal knowledge these events actually took place. Therefore their affirmation that they took place is meaningless! Attorney’s affirmations should not be considered by courts to justify compliance with RPAPL section 1304. Some lenders try to comply with RPAPL section 1304 by including in their motions for summary judgment representations by the loan servicer that the mailing requirements under RPAPL secion 1304 have been complied with. This is also nonsense! The loan servicer is usually hired by the financial institution long after the mailing requirement under this section needed to be complied with. The servicer therefore has no personal knowledge as to whether this section of the Real Property Law was complied with. The failure of the financial institution to comply with RPAPL section 1304 provides a basis for an affirmative defense to a foreclosure lawsuit. A motion can be made by the homeowner’s attorney to dismiss the lawsuit for the failure of the financial institution to comply with this section. In other situations it can be used to cause a court to deny a summary judgment motion on behalf of the bank because they have not fulfilled the prerequisites necessary to bring the foreclosure lawsuit. Elliot S. Schlissel is a foreclosure lawyer representing homeowners throughout the Metropolitan New York area who are behind on their mortgages, seeking mortgage modifications, or have been served with notices concerning foreclosures. The office offers free consultations. Elliot S. Schlissel is a foreclosure lawyer who has been representing homeowners for more than 20 years. His goal is to keep homeowners in their homes. He defends homeowners in foreclosure lawsuits and helps his clients in obtaining mortgage modifications. He and his associates can be reached for consultation at 516-561-6645, 718-350-2802 or by email to schlissel.law@att.net. Elliot S. Schlissel is a foreclosure defense attorney who helps homeowners fight foreclosure lawsuits and obtain mortgage modifications. He and his associates are available for consultation by calling 516-561-6645 or 718-350-2802 or send an email to schlissel.law@att.net. Elliot S. Schlissel is a foreclosure lawyer. He has helped hundreds of New Yorkers stay in their homes. He fights foreclosure lawsuits throughout the Metropolitan New York area and helps his clients obtain mortgage modifications. Elliot and his staff of attorneys can be reached 7 days a week. He and his associates can be reached by calling 516-561-6645 or 718-350-2802 or by sending an email to schlissel.law@att.net. A recent case in Kings County before Justice Yvonne Lewis sitting in the Supreme Court, Foreclosure Part, deals with the 90 day notice of default. New York Real Property Actions and Proceedings Law Section 1304 requires that a financial institution must serve a 90 day notice accelerating the mortgage and calling it due and payable before a foreclosure proceeding can be initiated. In this case the bank sought to confirm the appointment of a referee granting a judgment of foreclosure and sale. The lawsuit alleged the defendants defaulted under the terms of the note and mortgage. In addition, the suit claimed it was not a “high cost” or “sub-prime” loan and it was actually a commercial mortgage made to a commercial borrower. The financial institution claimed the mortgage was made for investment purposes. The defendant maintained the bank had failed to comply with Section 1304 concerning the serving of a 90 day notice of default. Counsel for the plaintiff presented arguments alleging there was no need for service of a notice of default under Section 1304. They claimed they were exempt from this requirement because this was a commercial loan and not a residential loan. The bank’s position was that Section 1304 only applied to residential mortgages. The defendant contended the loan was a personal loan and the mortgaged property was used as his place of principle residence. Judge Yvonne Lewis found there was a question as to whether the 90 day notice was required, and if it was required, was it properly served upon the defendant. Due to her concern regarding this issue, she denied the bank’s request for a judgment of foreclosure. The 90 day notice needs to be served in all residential foreclosure proceedings. The failure of financial institutions to serve it can be plead as an affirmative defense in the defendant’s Answer to a foreclosure lawsuit brought by a bank. Foreclosure rates for both Nassau and Suffolk Counties, on Long Island, are the highest in New York State. Approximately 3% of the homes in Suffolk County are in foreclosure. In Nassau County, approximately 2 ½% of all homes are in foreclosure. There are more than 27,000 pending foreclosure cases in Nassau and Suffolk Counties. The housing crisis has hit Long Island homeowners harder than homeowners in other areas of the State. Superstorm Sandy contributed to this problem by devastating many homes on Long Island. Thomas DiNapoli, the Comptroller of New York State, recently stated “if you are on Long Island and you have a huge mortgage, based on a price that no longer was attainable, you could easily get ‘underwater’.” Underwater refers to homes which owe more money on their mortgages than the home is worth. While in many other areas in New York State the foreclosure crisis is easing, it continues to get worse in both Nassau and Suffolk Counties. In January of 2015, the number of homes going into foreclosure in Nassau County jumped by almost 20%. Some of this increase in homes being foreclosed upon was related to the delayed impact of Superstorm Sandy, which hit Long Island in 2012, has had on homes going into foreclosure. In the State of New York, approximately 1 in every 90 homes is in foreclosure. While in Nassau County 1 out of every 40 homes are in foreclosure, and in Suffolk County 1 out of every 35 homes are in foreclosure. Comparing this to the foreclosure rate in New York City which has only 1 out of every 116 homes in foreclosure shows the huge problem faced by homeowners in Nassau and Suffolk Counties.